AbleLink Smart Living Technologies is the nation’s foremost expert in the development of cognitively accessible software for individuals with intellectual and developmental disabilities. AbleLink researchers have conducted over 70 federal projects in collaboration with the Department of Education, the National Institutes of Health, the Defense Advanced Research Programs Agency, and the Joseph P. Kennedy Jr., Foundation. 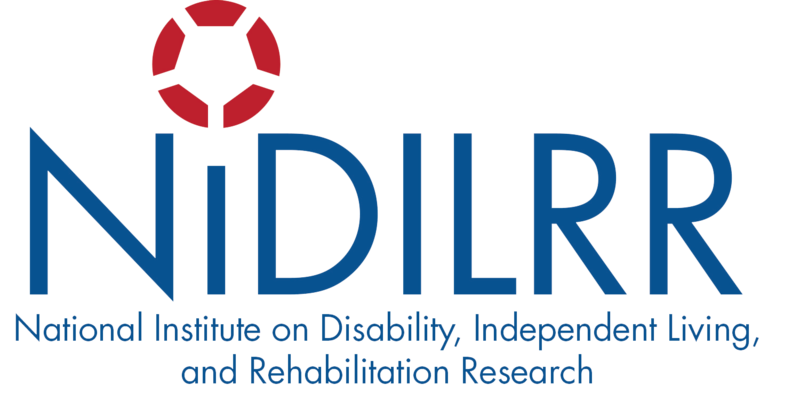 Currently, AbleLink is engaged in two travel support projects in conjunction with the Department of Transportation’s Accessible Transportation Technologies Research Initiative. Core products include WayFinder 3 (transportation), Endeavor 3 (scheduling), and Visual Impact 3 (video modeling), all designed to support independent living. Pressure ulcers continue to be one of the most prevalent and problematic secondary conditions for people with SCI. Virtual coaches are animated characters that emulate face-to-face interactions using theoretically based counseling. People interact with a virtual coach on computers or other electronic devices. Virtual coaches have been found to be effective in improving health behaviors in clinical trials in many different populations and patient groups. Our research team, led by Dr. Nancy Latham with Bethlyn Houlihan, developed and piloted the first-ever virtual coach for individuals with SCI. We focused on self-management behaviors to prevent pressure ulcers, as our showcase will demonstrate. Supported Employment Management System (SEMS) is an online digital platform and suite of tools to enhance delivery of supported employment. Iteratively developed and evaluated with clinicians and clients with serious psychiatric disabilities, including young adults, the platform includes: (1) an interactive motivational enhancement program to promote client connection to services, (2) tools to support collaborative care and individualized job planning based on client preferences, (3) a shared job development database, (4) a client dashboard to facilitate care planning and management, and (5) data collection and reporting features to support administrative requirements. The integrated platform expands program access and delivery to improve client outcomes. Got Transition‘s Youth Health Care Transition Quiz: Are you ready to transition to adult health care? Transitioning to adult health care is a big step for a youth or young adult. Like going to college, getting a job, or going to live on their own, health care transition takes preparation and self-advocacy. Got Transition (the national resource center for health care transition) and their National Young Adult Transition Advisory Group have developed a new online quiz for youth and young adults to find out how ready they are to transition to adult care. It also gives tips and resources to address many of their health care needs. In our evolving health care system, patients and families are called on to take an active role in their care. Development of self-management skills prepares patients to effectively fulfill this demanding role. We have worked with patient and provider stakeholders to develop a series of online, interactive self-management programs to build skills, help patients set goals and track progress, and improve their quality of life. PALS Online, a collaboration between Johns Hopkins University and the Amputee Coalition of America, was created for people with limb loss. Take Charge of Pain is designed to help manage pain following an injury or illness. Nextsteps, developed in conjunction with the American Trauma Society, assists people in recovery after traumatic injury. I-Connect and ASD on the Go are designed to ease adoption of mobile tools during transition to independence and increase the impact of efforts by users, supportive teachers, family, and others. I-Connect is a mobile app with a web-based collection of self-management solutions and support connections for high school students with learning or emotional behavioral disabilities. Users increase connectivity and accountability and share data with supportive individuals. ASD on the Go is a suite for online instruction, telecoaching, measuring social competence, problem solving, and organizing using self-monitoring. Testers with autism spectrum disorders (ASD), their service providers, parents, and related community persons are informing the iterative design. Patient engagement, person-centered care, and evidence-based practice are considered core elements in the delivery of high-value healthcare services. Developing tools that are engaging, usable, accessible, and reinforcing, and that provide choices for people with disability are essential for goal achievement and long-term clinical support. Decide and Exceed is a health decision support platform for person-centered care and a learning health system. It integrates multisource data into a comprehensive health and function profile and generates evidence-informed recommendations. The platform allows individuals, caregivers, and providers to get advice, decide on goals, provide daily feedback, and track progress. MoxyTech is the developer of GeoPain, a clinically proven software solution for tracking, analyzing, and communicating the details lost with existing pain assessment methods. The intuitive interface allows patients to quickly “paint” the intensity and area of their pain on a 3D model by simply pointing to where it hurts using a touch device such as their phone or tablet. This technology allows patients to precisely and quantitatively track and communicate their pain while giving healthcare providers and researchers real-time access to crucial data to optimize diagnosis and treatment. The complexity and pace of modern life can tax the cognitive abilities of persons without disabilities, meaning that persons whose disabilities introduce additional needs and complications into their daily schedules face daunting decision challenges in which mistakes could lead to severe health repercussions. We are designing, prototyping, and evaluating decision-support technologies to augment the cognition of inexperienced adolescent decision-makers in order to allow them to independently manage their daily schedule safely, and improve their understanding of how immediate decisions have consequences on the scheduling of work, social, and healthcare activities over the course of a day. SCI Hard is a serious gaming app to promote self-management skills among adolescents and young adults with spinal cord injury and dysfunction (SCI/D). It was designed with the input of individuals with SCI and healthcare providers to ensure accessibility even with high-level tetraplegia. SCI Hard, which takes approximately five hours to complete, consists of four levels in which players figures out how to get around with SCI, manage their health, and engage in activities to save the world. Individuals with SCI/D find it to be engaging and relevant, and effective in increasing awareness of the importance of regular health behaviors. The Digital Activity Improvement Measure (D-AIM) is an app that helps clinicians enhance societal participation of young adults with disabilities who are transitioning to independence. The D-AIM opens to a screen with buttons for common adult activities; the client (with clinician help) selects four or five activities for immediate focus and sets goals (e.g., three shopping trips on public transit). When the client completes an activity, she taps the corresponding D-AIM button and the software creates a record. At the next counseling session, the data are reviewed for achievement celebration, problem discussion, and selection of new goals and activities. Additional buttons support other clinical situations. Self-tracking through self-report and sensors will be an important component of self-care for individuals with a disability. Tracking becomes teamwork when caregivers and clinicians get involved. To support the collaboration, we are developing a system for individuals to tailor a self-tracking mobile app based on their conditions and priorities in life. Individuals can customize different data categories to track and select interface components for entering and displaying data (e.g., visualization). The mobile app offers several targeted tools for individuals to exercise control over data sharing to support independence and facilitate collaboration within each care team. Physical inactivity is a major, potentially modifiable risk factor for obesity and type 2 diabetes, as well as a major cause of premature death from cardiovascular disease. Adults with intellectual disabilities (ID) tend to be physically inactive and are more likely to be obese compared to the general population. The “We Walk” pilot study utilized the iCardia mobile health platform to remotely monitor and promote physical activity in adults with ID and their caregivers using smartphone technology and wrist-based Fitbit activity trackers. A total of 23 adults with ID and their family caregivers were recruited and completed the study. iMHere (Interactive Mobile Health and Rehabilitation) 2.0 is a cross-platform mHealth system to support self-management and personalized care delivery for individuals with chronic conditions. It consists of an app suite with several modules that allow individuals with disabilities (IwD) to manage their own self-care routines, apps for caregivers, a web-based portal for a clinician or case manager, and two-way communication connecting all of them. The system is designed to be modular and adaptive, capable of supporting personalized intervention where IwDs receive only the app and education modules relevant to them. It is patient centered and accessible to individuals with impairments.